Size: 38 x 11 cm. 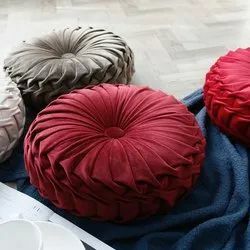 Usage/Application: cushions for sofa etc. The Blue Velvet Cushion features broad lines and half moon prints. We manufacture, retail and supply a wide assortment of Cotton Velvet Cushion. We are engaged in offering a wide assortment of Smoking Velvet Cushion. 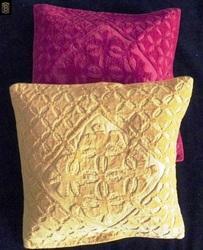 The fancy linen cushion we offer is recommended by the clients for their beautiful prints and designs. Our fancy cotton cushions are made under the strict vigilance of our professionals. Size:: 42cm x 21cm / 17" x 8"
Presenting our very own blue velvet embroidered cushions.